It’s been a month and I’m still getting used to the idea of an Ant-Man movie not directed by Edgar Wright. Scott Pilgrim vs. the World is one of my favorite comic book movies of all time. I remember liking it after having seen it in theaters, but it wasn’t until my second viewing that I really loved it. It was funny. Scratch that – it was HILARIOUS. And mixed in with the comedy and fantastic characters was eye popping visuals and solid action. It inspired me to seek out the source material and devour the comics, which were awesome in their own right. I owe this to Edgar Wright. I was already a fan of the man’s work from his take on zombies in Shaun of the Dead to his spoof on action movies with Hot Fuzz. Scott Pilgrim was the movie that took it up a notch and converted me to a super fan. But back to Ant-Man. I was mildly interested in Ant-Man prior to that when I knew he was developing it. It seemed to be on Wright and Marvel’s slate for a very long time but it had quickly become my most anticipated Marvel movie in the pipeline from that point on. I couldn’t wait to see what Wright would do with another comic book property and I know I wasn’t alone. The man clearly has an understanding of the genre and would make his fellow geeks proud. Sure, it was a long gestating project but it would be worth the wait! After years of radio silence we finally get some test footage towards the end of 2013 to keep the fanboys at bay and ensure us that the project was moving forward, which was met with plenty of enthusiasm. Wright indicated that the test footage was a pretty good indicator of what he would bring to Ant-Man, which would feel like a Marvel comic but with his distinct stamp on it. 2015 couldn’t get here soon enough. After the camera test sequence whet our appetites, then we FINALLY we get our first casting rumors. It was between Paul Rudd and Joseph Gordon-Levitt, either one of which I would have been ok with as they are great at what they do and are both deserving of headlining their own superhero franchise. So then it was made official that Ant-Man has a star in Paul Rudd, which amazingly was also met with a fickle fan community’s approval. Everything seemed to be moving along at a good pace now and Ant Man would finally make the leap from print to celluloid! Did Wright take too long? Was he too distracted working on other projects and let Ant-Man slip through his fingers? What the hell happened?? This is nothing new in Hollywood. Deals fall through every day. This isn’t even new to Marvel Studios as previously, the original director of Thor 2, Patty Jenkins (Monster), dropped out over, you guessed it, “creative differences.” I think the person most upset by this shift was star Natalie Portman. But Wright was a much more high profile and unexpected director shuffle as he had been attached to Ant-Man since 2006! Marvel has had some inspired choices for each project. For every safe bet (Joe Johnston for Captain America) there was an out of left field pick (Joe and Anthony Russo for Captain America: The Winter Soldier). James Gunn, director of this summer's Guardians of the Galaxy (another gamble) was one of the latest oddball choices as he’s never taken on a project of such magnitude but everyone has to graduate to the big leagues eventually. At the very least his previous movies make sense for him to be tapped by Marvel (not to mention his association with Joss Whedon couldn’t hurt). Speaking of, the one hiring that was met with a resounding YES from fanboys heard round the internet was Joss Whedon spearheading The Avengers (sorry, Marvel’s The Avengers). I was totally on board with this development 1) because although I already knew he was a skilled writer, I very much enjoyed his previous directorial effort, Serenity, the feature film that spun out of the short-lived Firefly series, and 2) Whedon clearly knows the Marvel universe. After reading his comics run on X-Men, it was obvious that this wasn’t just some filmmaker who had a passing interest in comics and wanted to take a stab at fulfilling a childhood dream. This guy, who just happened to be one of the biggest names in television, could write comics just as good as the pros. And then The Avengers goes on to make over $1.5 billion worldwide. Of course it didn’t hurt that he had the benefit of a handful of mega hits as lead-ins to his ultimate crossover movie. You have to wonder if Warner Bros is still kicking themselves for passing on Whedon’s Wonder Woman pitch, the man who not only redefined the contemporary kickass heroine in Buffy, but now major superhero franchises as we know them. A somewhat bold public show of solidarity in that you’d think Whedon would show allegiance with the home team over Wright, but I suppose that goes to show how secure he is in his standing with Marvel Studios. Your movie raking in over $1 billion will do that. 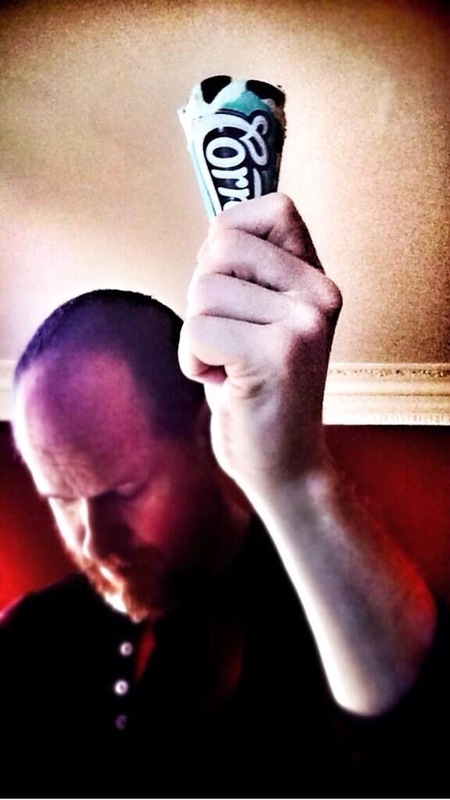 Whedon has quite a bit of clout over Wright because he has the dollar signs to back him up. Had Scott Pilgrim performed, perhaps Wright would have been given equal creative license and Marvel would have left him to his offbeat devices. Whedon’s pic was in response to this, the only public explanation Wright offered after the news came out. 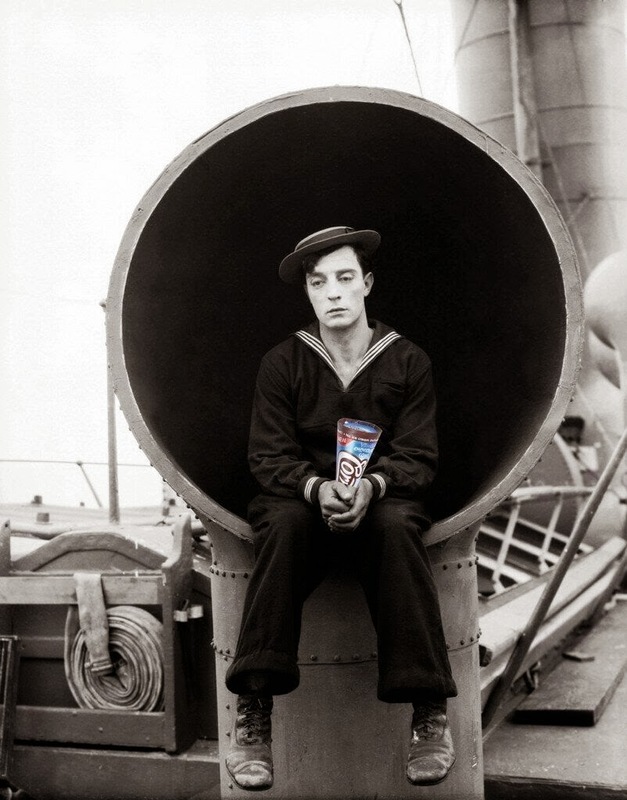 He tweeted a forlorn image of Buster Keaton holding a Cornetto cone dubbing it “selfie”. Keaton famously regretted giving up his own studio to make movies with MGM, claiming it was the “worst mistake of my career.” He was never again given the freedom to make movies the way he wanted to. The message Wright was sending was clear. Here’s what it comes down to: creative freedom. Marvel hires creative people to do just that. Create! So does that mean with less success comes less creative license? Was Marvel worried that Wright’s quirky charm wouldn’t connect with the masses and figured they’d better rein him in? When Wright was asked if Ant-Man would be a test of how far the Marvel brand could be stretched he replied that Marvel has had his treatment for years so the idea has never really wavered. But a lot can change in a year or eight. The World’s End made $26 million domestically on a $20 million budget. A dismal failure by Marvel standards. Was this poor performance a factor in giving Marvel cold feet? Even Scott Pilgim, which was received warmly at Comic Con, bombed at the box office. Perhaps in Marvel’s eyes, two duds in a row didn’t instill very much confidence in them that Wright’s fan base would come through for a lesser-known superhero, even with the added boost of it being under the Marvel banner. And that’s really what it comes down to, the return on investment. It didn’t matter that Scott Pilgrim has since developed a cult following. Marvel couldn’t risk their untested property to a guy with two strikes but they couldn’t outright drop him from a project that he’d been developing for the better part of a decade, so what do they do? Force his vision to match theirs and possibly tie it in to the greater Marvel Cinematic Universe that has flourished since Wright signed on to the project. A lot has changed since 2006 with eight Marvel features being released so far to mega bucks in that time so perhaps Wright with his obscure superhero (by mainstream standards) seemed like a bigger gamble than it had originally. Ant-Man was after all a founding member of The Avengers (now the 3rd highest grossing movie of all time). Perhaps what was missing from Ant-Man was more references to the movie everyone saw, or perhaps a cameo from Sam Jackson, or maybe even Captain America to tie in with his third entry or a female companion like Wasp since the Cap and Black Widow pairing tested so well in The Winter Soldier. It could have been any number of studio notes since now Marvel had a recipe for success and they knew what needed to happen with Ant-Man to eclipse the previous hits they had achieved, because if Ant-Man turned out to be another Scott Pilgrim… it could spell the beginning of the end for the Age of Super Hero movies as we know it. Jon Favreau had similar difficulties with Iron Man 2. The original set the tone of the Marvel Cinematic Universe going forward and with the sequel, he was pushed into shoehorning in Fury and Widow until it just felt like a precursor for The Avengers more than a follow up to Iron Man. Perhaps this is why we didn’t get a Favreau directed Iron Man 3 and he pulled a Sam Raimi after only two go-rounds. Thankfully Iron Man 3 didn’t sink to the depths of Spider-Man 3 or X-Men 3 for that matter and helped redeem the franchise (although some fans were just as split on this one as they were the second). Recently, Favreau offered his two cents on the Ant-Man situation, claiming that Wright had “been used to a situation where he can have tremendous creative say around his story and casting, and Marvel has built an entire franchise around their style of telling stories. I know both parties well, and I respect his decision to see that he wasn’t going to be fulfilled in the process.” Recently Favreau returned to his roots directing a smaller pet project. Was he also burned by the studio system and needed a breather? Time will tell if Favreau will return to direct another Marvel movie. Is this just the beginning of a creative rift forming between visionary directors and Marvel Studios? DC Comics faced a similar issue with its creators a couple years back when writers and artists were dropping off one after another because of what was seen as too much editorial input and not letting creators follow through on plots they had arced out months in advance. Now it seems as if this mentally is spilling over into the movie machine as a LOT more money is on the line than the nickel and dime business of comics. Oddly enough, both Wright and his co-writer Joe Cornish are still, as of this post, listed as writers on Ant-Man, with Wright still credited as co-producer according to IMDB. Not that IMDB is the most reliable source of up-to-date info but that would suggest at this point that their contributions haven’t been entirely scrapped and we’ll still see their fingerprints on the final product. The scenario brings to mind another case of swapping out directors last minute on a superhero property when Bryan Singer jumped ship from X-Men 3 to helm Superman Returns and Brett Ratner was the hired gun brought in to keep the production on schedule. Well, we all know how well that turned out. I’m afraid Ant-Man may suffer the same fate seeing as Marvel Studios is too headstrong to admit that on an Edgar Wright film, Wright is irreplaceable and Ant-Man will happen with or without him. Notice how I called it an Edgar Wright film and not a Marvel movie? Make no mistake, whatever Wright had cooking, was going to be his movie that just so happened to take place in the MCU. And that brings us to the replacement. Who would be ballsy enough to step into Wright’s shoes and attempt to finish what he started? 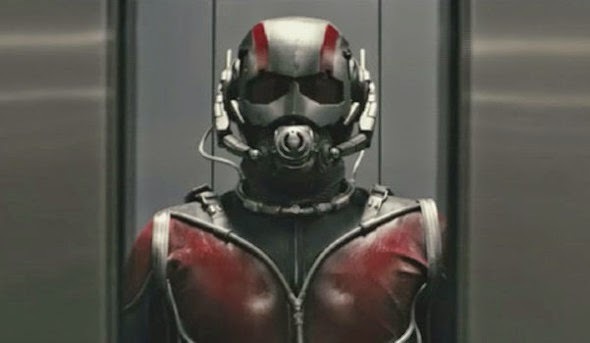 Several names were thrown around as being potential candidates to pick up the pieces from the departed Wright, and a few even passed on the chance to bring Ant-Man to life. Rawson Marshall Thurber (of The Millers and Dodgeball) reportedly turned it down followed by Adam McKay (of every other Will Ferrell movie). I’m not a big fan of McKay’s but with at least one action/comedy to his name with The Other Guys, I will say he made much more sense than who ended up with the gig. Admittedly, when Peyton Reed was announced as Wright’s fill-in, I had to look him up. I saw a few tweets refer to him as The Break-Up director and that didn’t exactly fill me with enthusiasm. Reed’s credits also include Yes Man (which wanted so badly to be Liar, Liar), Down with Love, and Bring It On (well at least it’s the original). There’s nothing here to hate, but for me, there’s nothing to love either. They are perfectly safe, albeit generic, romantic comedies with at least two big name stars attached to each. Far more interesting are his television credits which include Upright Citizens Brigade, Mr. Show and The Weird Al Show. Clearly the guy has some offbeat, sketch comedy roots which will serve him with the comedic aspects of the movie, but what about his resume says he’s got a good superhero movie in him (although it could be argued the same could be said for Favreau at the time)? Based on the guys that Marvel hit up, it seems to me that the essential pre-requisite to directing Ant-Man was having previously directed Vince Vaughn with Jennifer Aniston as a bonus. I guess Favreau set the precedent with that formula so Wright truly never had a chance. As it turns out, McKay will have a hand in re-writing the script for what that's worth. Prior to this announcement, I was debating with an old friend over who would be the logical choice to step in and save this movie from Marvel. I mentioned the Russo brothers would be a good pick if they weren’t already signed on for Cap 3. He said the logical choice was clearly to bring back Edgar Wright (wishful thinking Sean!). It hit me later that night another directing duo Phil Lord and Chris Miller of 21 Jump St. and The Lego Movie would be a great fit. We both agreed they’d be perfect. And then two days later this hit… Phil Lord and Chris Miller Won’t Direct Marvel’s Ant-Man. Not only did they say they wouldn’t do it (Wright is a pal of theirs) but they agreed that the logical choice would be for Wright to direct an Edgar Wright movie (well yeah, Sean could have told you that). They even went as far as to say that Marvel should scrap the movie altogether. Whether or not you agree with them, it’s clear whose side they’re on and that they won’t let a paycheck sway their creative integrity or come between friendships. And these guys call themselves Hollywood directors? My respect for them just went way up. It was the day after this when Reed was announced and the guessing game was put to rest. It was fun while it lasted. The saddest thing about the situation is that going back and watching interviews with Wright, you could tell he truly has a love for the character, referencing John Byrne’s run as an influence. Wright also mentions in one interview that he had to put Ant-Man on the backburner in order to make The World’s End, and that Marvel was cool with that, telling Wright they’d see him in a couple years. He had a completed script and was meant to begin shooting it at the end of May, (around the time it was announced that he had left the project) so it remains to be seen if the release date will be pushed back from July 17, 2015 to accommodate Reed, or if he’s able to crank it out per Marvel’s guidelines. It’s Disney, so most likely the latter. They’re not exactly delaying Star Wars VII over Harrison Ford’s broken foot. It seemed as if the egos involved were more interested in getting someone in the director’s chair pronto who had a comedy background and was available to start yesterday. Here’s some more food for thought – Marvel likes their leading mean cheap. Chris Hemsworth and Chris Evans weren’t exactly household names pre-Avengers and they got locked into multiple picture deals early on, to get the most out of them before the movies even began to rake in the dough. At the time of Rudd’s casting, it was reported that the actor took on the role at less than his usual asking price for the opportunity to work with Wright (understandable). A lot of actors will choose roles based on the director and this was no different, meaning Wright’s involvement attracted talent which is all it amounted to. I’m wondering how Rudd must be feeling about his missed opportunity. If it weren’t for Wright, who would be starring in this thing anyway?